Coincidentally or not, just a few weeks ago, an independent film company called Nu Image, backed by the U.S. 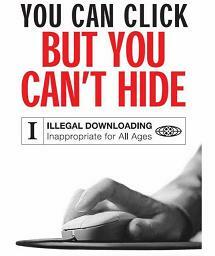 Copyright Group, announced the biggest file-sharing lawsuit ever in the history of this country. More than 23,000 IP addresses have been cited for illegally downloading by bit-torrent the Sylvester Stallone’s movie “The Expendables”. According to the Hollywood Reporter, a federal judge is allowing the plaintiff to subpoena Internet Service Providers to identify the customers behind each IP address. Once identified, these customers will face legal action. In case you are worried you may be involved in this lawsuit, you can check if your Ip is being targeted using this tool provided by Wired. If you find out that you are, check this faq provided by the Electronic Frontier Foundation to know what to do next. The big battle against online piracy needs to be fought from Washington, politicians seem to think. Democratic and Republican Senate Judiciary Committee leaders introduced last week a bill that aims to prosecute websites dedicated to the sale of counterfeit products, including movies and television shows, Los Angeles Times reports. “This legislation will protect the investment American companies make in developing brands and creating content and will protect the jobs associated with those investments,” said Sen. Patrick Leahy (D), who introduced the bill. This bill, of course, has found friends and foes on the Internet. Andrew Keen from the ArtLab blog pinpoints his views right on his headline “There’s no excuse for digital piracy, thanks to online services like Netflix.” Keener describes Leahy’s bill as a “good first step”. “Rather than going after little old ladies “guilty” of shoplifting the odd song with ridiculously excessive fines, the act seeks to shutter businesses designed exclusively around the illegal distribution of intellectual content,” he writes. Keener added that the $7,99 a month deals for streaming movies offered by both Netflix and Hulu should be enough argument to put an end to movie piracy once and for all. Larry Downes from CNET wrote a story representing the other side with a headline that again says it all: “Leahy’s Protect IP bill even worse than COICA.” In it, Downes basically compiles all the criticism the new bill has generated and also explains in detail its most controversial clauses. “Preemptively shuttering a Web site is certainly one way to curb illegal distribution of copyrighted materials and black market goods, but many see it as a blunt instrument that could ban other, legal content on the site,” writes Downes.